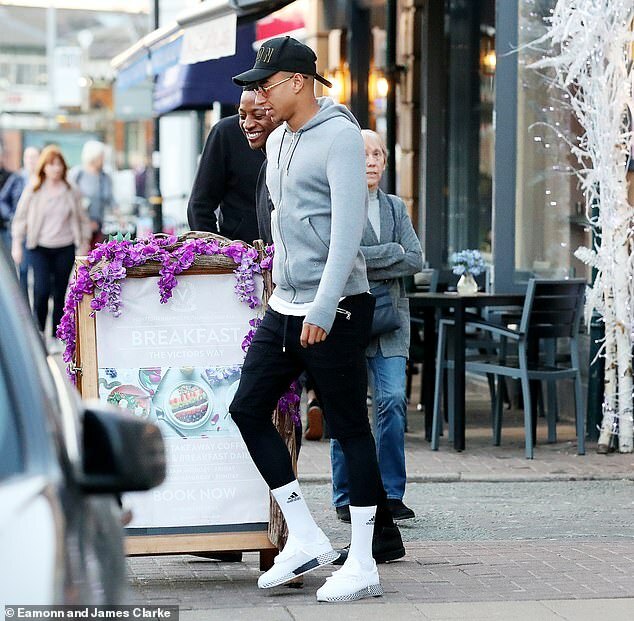 Injured Manchester United midfielder Jesse Lingard was spotted having dinner with friends at Victors Restaurant in Hale Village on Tuesday. The midfielder is among nine players missing from Ole Gunnar Solskjaer’s squad ahead of the Red Devils’ trip to Crystal Palace on Wednesday night. 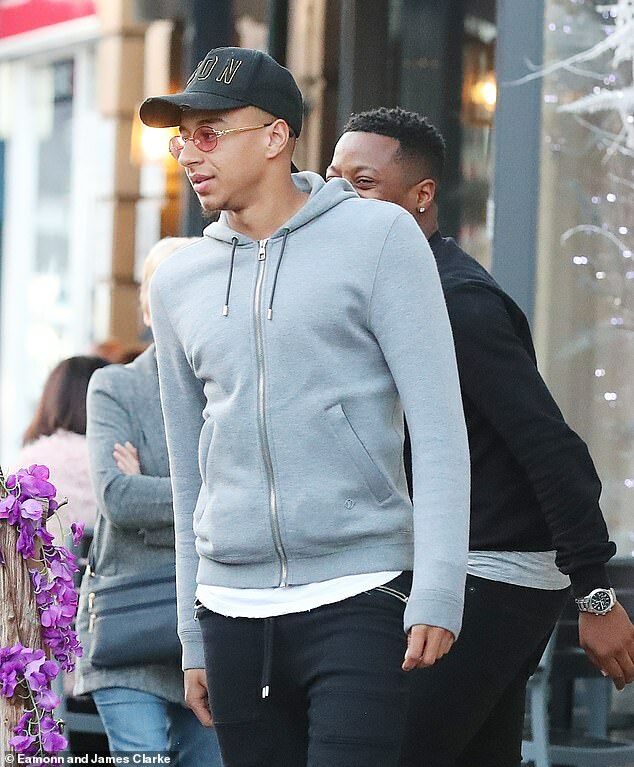 Lingard, convalescing from an impact injury sustained in United’s draw with Liverpool, sported a grey hoodie, ICON cap and tinted sunglasses while spending time in Altrincham. Solskjaer conceded in a press conference that Lingard, who had replaced Mata off the bench against Liverpool, probably returned from a previous hamstring problem too early. The 26-year-old had hobbled off with a thigh injury suffered 12 days earlier against PSG. The interim manager did claim, however, that the intensity of his team needed improving and injuries are a by-product. They are averaging 10 more sprints per match under Solskjaer than under Jose Mourinho. ‘It’s probably linked, yes, because when do you make that change?’ Solskjaer said. ‘Do you wait until pre-season and think you will change results by just not asking them to run? Or do we start now and show them what the demands are? ‘We need to play as a Manchester United team and if you want to be a part of United, it is survival of the fittest. Herrera could miss the best part of a month and Scott McTominay is set to start in midfield at Selhurst Park in Matic’s absence. Academy trio Angel Gomes, Tahith Chong and James Garner have travelled with the squad.